Excellent drama, excellent acting. A British soldier gets lost after a deadly riot in Belfast and is hunted and helped by different people. An intense story that show the good side and the bad side of people, organizations and institutions. 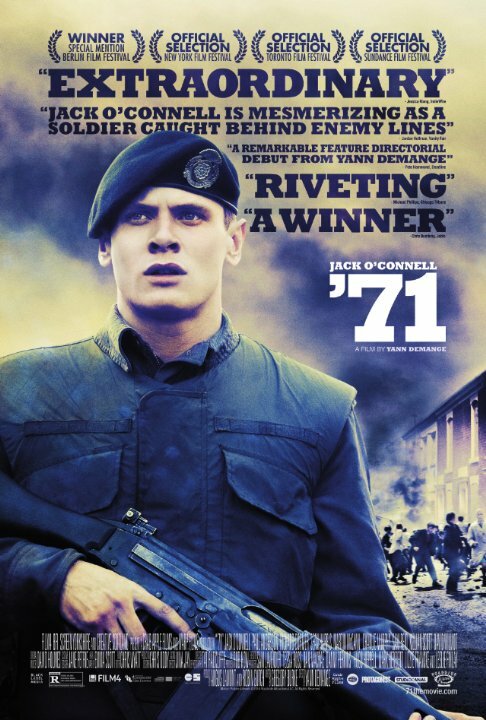 71 is gripping, intense and a great thriller. Jack O'Connell dose a fantastic and a compelling performance in this movie. Yann Demange directing was also superb as he really added a lot to this movie when it came to the intense scenes. A time period thriller with 'Bourne' style direction and realistic violence. The beginning is tense. A dire situation erupts out of heightened stress, which leads to a frantic chase. While the movie is fast paced, it doesn't sustain that frantic nature throughout. The usual 'run and hide from the bad guys' scenarios are punctuated by a couple of surprise bursts of shock violence. One explosion caught me off guard and I appreciated the harsh realism of it's aftermath. Other than that, this was a standard thriller. No posts have been made on this movie yet. Be the first to start talking about '71!